Applied DNA Sciences wants to take what it has accomplished in the cotton supply chain and apply it to synthetics, particularly in the area of recycled PET fibers. The provider of molecular technologies that enable supply chain security, anti-counterfeiting and anti-theft technology, is highlighting its CertainT platform in conjunction with National Recycling Week this week, and National Recycling Day on Nov. 15. Last month, Applied DNA, based in Stony Brook, N.Y., signed a trademark license agreement for its CertainT platform with specialty synthetic fiber maker Palmetto Synthetics. CertainT provides a single platform to tag, test, track and trace products throughout a certified supply chain. Applied DNA’s molecular tag is extruded into the recycled components that create recycled PET fiber, with no impact to performance or quality of the blended staple or filament PET yarns. The new CertainT trademark agreement enables Palmetto to reach its goals of bringing transparency to the manufacturing processes and provide customers with traceability and trust in the original tagged synthetic fiber. MeiLin Wan, vice president of textile sales at Applied DNA, explained that under the CertainT platform, customers are provided with secure, forensic guidelines for monitoring the flow of product in the manufacturing process through molecular tagging, testing and tracking. Routine inspection and authentication is transparent and certified via an integrated database and portal. Also last month, Applied DNA signed a CertainT trademark license agreement with Techmer PM, a producer of value added colors and additives for the plastic and fiber industries, and a long-standing customer of Applied DNA’s SigNature T molecular tags. Techmer’s mission is to provide customers with the best technical support in “problem solving designs for modifying the properties of base polymers.” In the complex world of sustainability, Techmer has embraced Applied DNA’s CertainT platform as a way to prove sustainable sources and ensure product integrity and supply chain transparency. 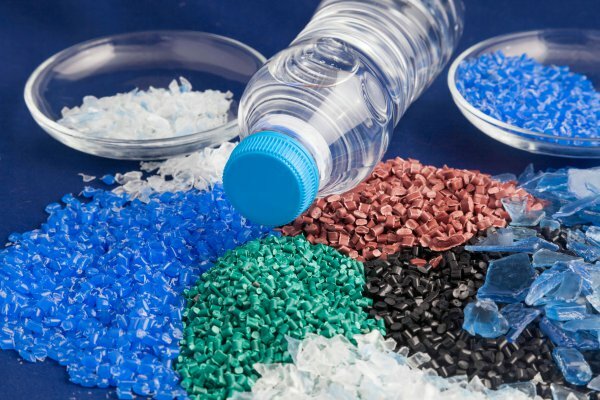 Wan noted that “masterbatches” are concentrated additives used to impart qualities or colors to compounded plastics. With the implementation of the CertainT trademark on its SigNature T molecularly tagged PET or recycled PET masterbatch, Techmer is now able to illustrate to its customers and downstream supply chain partners the ability to forensically interrogate its source material in all phases of the manufacturing process, from source masterbatch pellet to the end product, allowing Techmer to differentiate itself in a dynamic market. “Customers want to know where their products were designed and manufactured, and we want to be at the forefront in reliably providing that information,” John Manuck, chief executive officer, chairman and founder of Techmer, said of the deal. CertainT also helps customers meet their sustainability goals, according to Shearman. Noting that products that use recycled, renewable or re-usable materials that have an eco-conscious composition can benefit from molecular tagging. Wan said it’s important to note that CertainT can tag pre- and post-consumer recycled material. PET is the clear plastic best known for its use in water bottles and is the most widely recycled plastic in the world. “The realization for the brands and consumer is CertainT allows for tighter control and procedures, so their products will have better quality and will perform better,” she said. This has been the case with Applied DNA’s CertainT agreement with Loftex Home for towels, with the first products on retail shelves now. 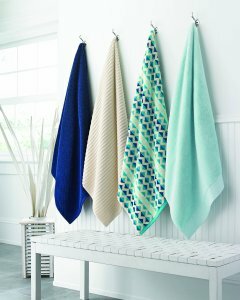 The multi-year agreement between the two companies signed in July is exclusive for bath and beach towels in the U.S., non-exclusive for plush throws and bath rugs, and provides for long-term guaranteed minimum annual revenues, as well as trademark licensing royalties to Applied DNA. Any piece of the CertainT-tagged towels can be authenticated by detecting the molecular tag present in the recycled PET fiber, ensuring the recycled nature and origin of the fiber. Shearman noted that the benefits of a blended recycled PET and cotton towels include less drying time and less water usage during washing, making for a more sustainable and time-saving product. Applied DNA also has CertainT licensing agreement with GHCL for recycled PET and PET for bedding.